For the National Caregiver Week, Jessica Smith, Family Caregivers Support Program Coordinator, gives you an overview of CLSC home care services and practical tools in our new video! The presentation is aimed at helping caregivers understand the range of services available to seniors through the CLSCs, as well as the current role and functioning of their home care services. 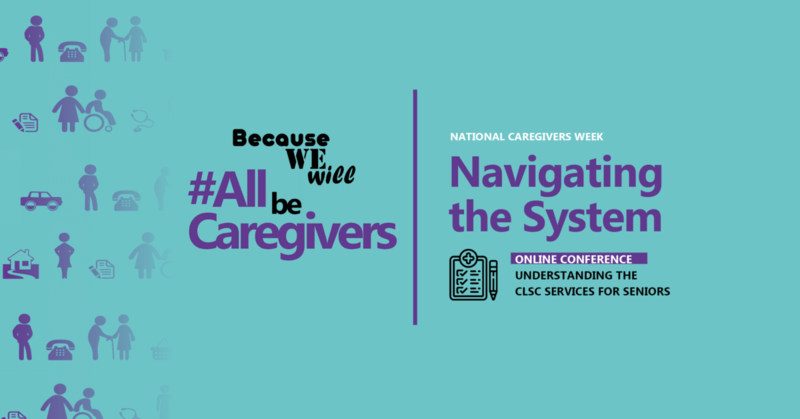 The goal is to help caregivers get the support they need by rendering CLSC resources more accessible and by informing them of how and where to access other resources when necessary. Checklist | Are you a caregiver? Do you regularly help someone? You can contact us at 514 866-9941, ext. 226 or by completing the form below. Please note that our phone number will appear as a private number on your caller ID. Briefly describe your situation and needs.